Everything I’ve heard over the last few days suggests that Android 2.2 for the Droid Incredible is still going through a variety of tests and this latest build is evidence of just that. While we still have no official release date, these builds are starting to become about as polished as you’ll find. From what we can tell, there are no major differences between this build and the last one we had a week or so ago. Well there is one thing we noticed immediately and that is the return of the old HTC IME keyboard. As you may remember from our first impressions of Froyo with Sense, the keyboard hiding button had been removed and for whatever reason returned in this build. Who knows? 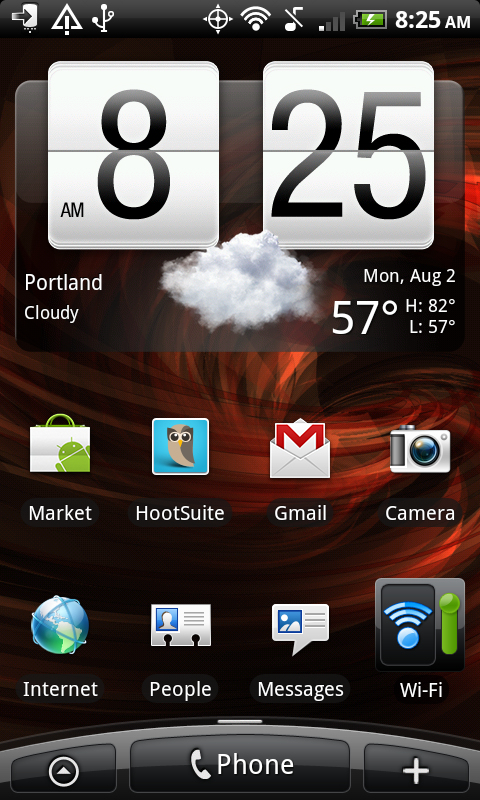 *For rooted Droid Incredible users only. 1. Download the zip file above to your SD card. 3. Choose the zip file you downloaded and check the box to create a backup. 4. Skip the box to “wipe data and cache” as this build will wipe everything anyway. 5. Allow your phone to reboot and work some magic. 6. Should reboot with the new Sense Froyo love. Enjoy! As always, let us know of any issues should you run into some. This is a great build for DI owners. Cheers to our tipster for the leak and unrevoked for scrubbing this thing clean! DROID 2 Lands on Verizon's "Advanced Device List"
Motorola Milestone Receiving Android 2.2 in September?